Chalk up another Mantle partner for AMD. The silicon slinger has kept access to its graphics API behind a velvet rope, but today at GDC it revealed that it's forged a partnership with video game company Crytek. Crytek's CryEngine game engine will add native Mantle graphics API support. 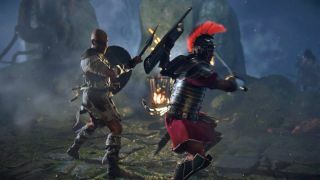 Crytek Founder Cevat Yerli said the deal to deliver Mantle will help the engine achieve real-time graphics and "get closer to the metal." What's more, the GPU and CPU will finally be at game makers' mercy. "I'm looking forward to the results that Mantle can deliver," Yerli said, also noting that armed with the API, his company will be able to achieve "lower level" hardware access, resulting in better efficiency, performance and hardware control. Crytek joins a shortlist of "hand-selected" Mantle partners. The biggest name up until today was DICE. By AMD's own admission, access to the graphics-boosting API has been kept on a short leash, but from today on, it seems the company is prepared to be a little more welcoming. Virtual reality is the big buzz generator at GDC 2014. Check out our Project Morpheus hands on review!